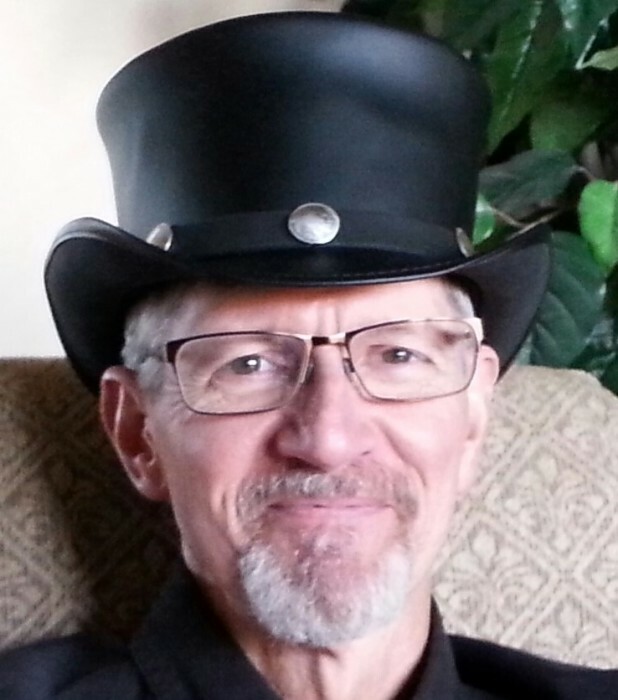 Alan David Wessels passed away on Monday, March 26, at 1:30 p.m. in ICU at St. Luke’s Hospital in Meridian, Idaho. He was 63 years old. Alan was born January 19, 1955 in Philadelphia, PA. His parents were James Franklin and Joyce Arline (Drake) Wessels. He was the oldest of five children. Alan’s dad was a career Navy man which meant the family traveled a great deal. Alan graduated from Samuel Ayre High School in Milpitas, CA. Alan landed in Boise, Idaho in 1976 when he grew tired of the 90-minute commutes to and from work as a machinist in California. He came to Boise on vacation to visit friends, went back to California, sold his home and moved here without a job or a real plan beyond knowing he wanted to live in Idaho. That adventurous, brave, free spirit describes Alan. If he didn’t know how to do something, he wasn’t afraid to try and fail. Initially he held down a number of odd jobs just to pay his bills and then he went to work for Hewlett-Packard Company as a machinist. Alan worked for HP for 27 years and held various positions in a variety of organizations. He was a Machinist, Draftsman, Assistant, Engineering Assistant, Lab Assistant, and Process Technician, to name a few. As organizations and technologies changed, Alan either had or went to school to acquire a skill set that allowed him to continue to be employed by HP. Outside of work, Alan tried his hand at camping, fishing, water skiing, hiking, wind surfing, and he and his best friend, Mike Williams, became serious body builders. He worked hard at his job, but when the day at work was over he played and partied hard, too. In 1981 while playing softball on an HP team, Alan met the woman that would change his life completely and forever, Brenda. From 1981 until 1:30 p.m. on Monday, March 26, Alan and Brenda were a loving and dedicated couple. Alan’s new focus was being a husband and father and he excelled at both. Alan and Brenda spent enormous amounts of time together and had fun doing all sorts of things. They enjoyed the Philharmonic, Dinner Theater, Body Building Competitions, Square Dancing, vacations, yard work, grocery shopping, movies, time with friends, and just being together at home where he was a partner in everything including housework. Alan was an avid gardener and completed the Master Gardener Class through the University of Idaho. Alan loved being a dad. When his daughter, Paige, went to camp, he was a camp counselor, and when she ran in the Capital Classics each year, he was a race official. He attended every parent/teacher conference, every track meet, and every violin recital. He loved his family more than anything in this world. He loved Brenda, loved Paige, loved Cody when Cody married Paige, and he loved being “Papa” to grandson, Grayson. Alan wasn’t lucky when it came to health. He had his first open heart surgery in 2004 at the age of 49. After he left HP due to downsizing, he had several jobs, but his health was beginning to become more and more of an issue. What we didn’t know was that Alan had cancer. His focus on exercise and diet managed to conceal what we learned was Renal Cell Carcinoma (Kidney Cancer). In July of 2014, we went to the ER thinking he had appendicitis and left with a diagnosis of Stage 4 RCC. He was given 3-6 months to live. In August 2014, he had major surgery to remove an enormous tumor, his right kidney, and his right adrenal gland. In November of 2014, Alan experienced an aortic dissection and had his second open heart surgery. Because he was on chemotherapy, because he was recovering from major surgery, because he had cancer, and because he had already had one open heart surgery, we were told he most likely would die in surgery, so we told him goodbye. Alan, on the other hand, wasn’t ready to leave his family and his great life. So, he fought to live. He had a second cancer surgery in April of 2015. By this time in his cancer journey, friends were calling him Superman or the Energizer Bunny because regardless of what doctors said and regardless of what obstacle was put in front of him, he just kept fighting. He took four different chemotherapies that failed and his weight dropped to 140 pounds fully clothed, but he did not give up. Thanks to immunotherapy (Opdivo) and thanks to radiation treatments, thanks to the incredible staff of the Mountain States Tumor Institute, thanks to the prayers and support of family and friends, and thanks to Alan’s fighting spirit, Alan was doing well with his cancer prognosis. He was able to live a good life. Our life was different from what we expected retirement to look like, but we made adjustments. Instead of gardening over an acre of parklike yard, we built a house where his back yard was 28 feet across. Instead of the physical elements of his life, he read more, planned to learn to play the guitar, did some woodworking, started collecting hats, but most importantly he recognized that every day was truly a gift. When the day was a “bad” day, it was spent watching old movies in the recliners or we’d play cards and board games, and when the day was a “good” day, it was spent with family and friends. Alan’s scans were done every three months with the most recent one having been done on Monday, March 19. We got the results on Thursday, March 22, and would have gone out to dinner to celebrate the pathology report that read “stable” but Alan had what we believed was a flu bug so we postponed the celebration because, after all, we knew we were continuing his infusions every other week and would scan again in three months. Because we had made the decision to live the best life we could with cancer, that is exactly what we did. Alan did not die because of his cancer. His luck just ran out and on Sunday evening he experienced a devastating aortic aneurysm that resulted in him being on a respirator and experiencing severe brain damage. With friends and family surrounding his bed in the ICU – everyone laying hands on him and telling him they loved him, assuring him they would take care of his beloved wife, Brenda, and Paige and Cody and Grayson, Brenda did what she had promised him she would do nearly four years ago, she told him she loved him, she would be fine, and she gave him permission to go. Within a very short time afterwards, the doctor told the group, “Alan has made his decision.” We looked at the monitor and Alan’s heart rate skyrocketed and his blood pressure crashed and he was gone. Alan was our protector and our hero and he will always be with us. Where he is now he no longer has cancer, a bad heart, or pain. We have wonderful memories and the comfort that comes from knowing Alan loved us every minute of every day with every breath he drew. Never once in almost 37 years did we doubt that incredible love and devotion. Alan was preceded in death by his parents, Jim and Joyce, and by his grandson, Jeg Mitchell. He is survived by the love of his life, Brenda McKenna Wessels, and by his daughter, Paige Wessels Mitchell, son-in-law, Cody Mitchell, and grandson, Grayson Ray Mitchell. Alan is being cremated and his ashes will be with Brenda. No funeral is planned, but there will be a Celebration of Life in the near future. The family suggests those wanting to honor Alan do so by making donations in his name to the St. Luke’s Mountain States Tumor Institute (MSTI) in Meridian, ID, to the American Cancer Society or to the American Heart Association.